Ex-Red Hot Chili Peppers guitarist and songwriter is losing his mind, again. And this time he’s sober and more out there musically than ever before. Mixing every genre from classical to funk to hip hop to jazz, Frusciante is not aspiring for more fame than he’s already achieved, but to inspire and impress musicians from all over the world. As you listen to this, one can tell why he does not need the Red Hot Chili Peppers anymore, apart from commercial success, he is free to break every and all rules of music theory and production. This is not a guitar record anymore than a synth pop or funkified jam record. An artist like this must be on his own to explore new ground within the underground. He is a true visionary and pioneer of seminal lo-fi movements as well as top 40 singles and experiments in performance art. As he grows into the new Frank Zappa, fans may not understand this music. It’s sophisticated music, not intended to be understandable on the first listen. "As he grows into the new Frank Zappa..." God I hope so, someone needs to. 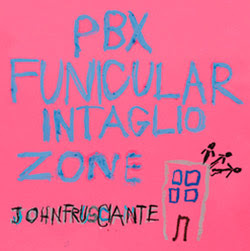 It's more musically interesting than most, perhaps even all, of Frusciante's other work, but my initial reaction is that I don't like the record. I think it's pretty horrible, actually, but I have only listened to it once so it might grow on me after a few more listens. Even though I don't like it, I do think it's better than anything the Chilis have released during the last fifteen years or so. i don't like it also--of course it's well made,produced,etc...but still not Frusciante's at it's best...Niandra is very difficult to beat it..Empyrean was a very good album tho. I love it. If you don't get it, at least you recognize it's musically interesting. And true, it's better than anything the Chili Peppers have done since Californication. stfu and respect his opinion. Who has even heard of this album??? Who knew John Frusciante made solo albums??? This is John Frusciante's best. He was always pretentious but at least he had songs to back it up. Now he's just pretentious. I dont know why but i like all the albums. They are all different but i like both "Going inside" and "Bike"!His music is the face of God!! !